The word "spoiled" is a loaded term, one that has many levels of meaning for us as parents. You may envision a nagging in-law saying your children are "spoiled," you may remember a kindly grandparent "spoiling" you as a young child, or an unruly, "spoiled" kid you see in the grocery store who throws a fit to get what he wants. In this article, I am defining “spoiled” as any situation in which a child is in control and a parent is not. Over-indulging children emotionally is not the same as loving them. First of all, know that we all spoil our kids at some point. Whether you have a hard time setting limits, allow too much emotional leeway or simply buy your kids too much stuff, we all sometimes have the tendency to take the path of least resistance. Naturally, this will not hurt any child if it happens occasionally. But I want you to take a moment to ask yourself an important question: has spoiling your young child become a pattern in your daily life? If it has, this is a great time to do something about it. The key is to start setting limits and begin to assume control in your relationship. Can you spoil your child emotionally? A mother of a pre-schooler I spoke with asked me how it was possible to spoil your child emotionally. After all, isn’t one of the hallmarks of successful parenting giving your children as much love as possible? In the mean time, her daughter was in control of the family at age four because her mother was afraid to let her feel any negative emotions. If she wanted candy, she got it. If she wanted to stay up until 11 p.m., even though it made her and her parents exhausted and sick, she was allowed to do so. I told her what I will tell you: of course, loving our kids is a primary parenting goal, but it is equally important to recognize that you can love your child without feeling like they always need to be happy and content. Many parents mistakenly think that their children’s perceptions about feeling loved are somehow intertwined with an ongoing feeling of happiness. The reality is, effective and loving parenting involves knowing when to allow your child to experience anger, sadness, and frustration at not getting what they want. Over-indulging children emotionally is not the same as loving them. A common example of this problem is not allowing your child to experience the natural consequences of their actions out of fear of the emotional fallout that will occur. Whether your toddler is sad because she had a toy taken away as a consequence for her behavior, or your first grader is upset that he didn’t get the birthday gift he wanted, it is your job to let your child sit with their negative feelings. If this happens in your house, you might want to try saying the following: “Maya, it sounds like you are really upset right now and I understand that, but crying and shouting at me will not help you get what you want. 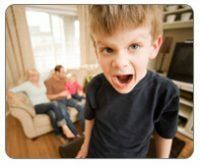 When you are done, feel free to join the rest of us in the family room.” And then allow your child to stay put until she is done with her outburst. 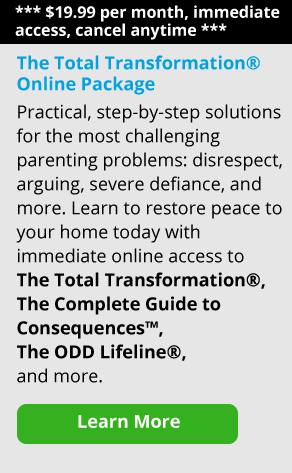 This is not an easy task: allowing your child to struggle with whatever unpleasant feelings they have created for themselves can be a painful experience for both of you. However, if you give in every time your child experiences negative emotions, know that you are creating a person who will develop an enormous sense of entitlement. Entitled children fail to learn a sense of personal responsibility and run the risk of becoming self-absorbed teenagers and adults who have a hard time functioning socially or in the workplace. Simply put, this is because they have an inability to tolerate any situation in which they are not given exactly what they want. Setting limits with your children is probably the single hardest job you have. After all, who wants to see the child you love feeling miserable and tearful? If your family is anything like mine, you probably have at least one child who reacts as if the world is coming to an end every time you try to set any limits. As a result, you might feel afraid to put your foot down with your kids because of the unpleasantness that goes along with it. Telling your child, “No TV until you pick up your toys,” instead of doing it for them and letting them be in control of their activity choices is bound to get them worked up. Keep something in mind, though: Every time you don’t set limits, your child—no matter their age—is keeping a mental checklist. And each time you give in, they believe they have won a battle with you. The important thing to remember here is that your child is asking you for limit setting. You read that correctly: your child is craving for you to set limits because it makes them feel safe and helps them learn a sense of boundaries. Having limits given to them lets them know that you care enough to protect them with rules. As a parent, looking at limit setting as a positive, rather than a negative experience, can help you enforce the rules with greater ease. Start setting limits when your kids are young and you will find that you have created a solid foundation that will help your family operate smoothly. If you’ve been less than consistent on limit setting, it is never too late to start! Call a family meeting today and write out what you expect of each family member, parents included. In our house we have a rule: no videos or computer time until each child has finished chores, homework, and piano practice. When the complaining starts, my husband and I can say, “This is what the rules are. Please finish your work and then you have play time.” If complaining continues (and sometimes it does), we do not feel badly about taking away privileges for that day as a way to show that whining does not work. I think it’s important to talk about the issue of spoiling our children with material goods. Never has there been a time in our culture where there has been such an abundance of stuff! The television, computer, magazines, movie theatres have us all convinced that our children need more. The good news is that you can stop this extreme materialism by incorporating a few rules in your house. First, I recommend that parents give their children a weekly allowance so they can learn the meaning of money. Kindergarten is a great age to begin the weekly allowance. This way, if they want to buy something the next time you are out, you can legitimately ask, “Do you have your allowance money?” This takes you off the hook for buying them anything. Second, talk to your child about poverty and what it means to have very little. Our family “adopted” a girl from Africa, and through our correspondence with her my kids have learned both the importance of giving and also to be more grateful for what they do have. Lastly, resist the urge to cave in to peer pressure to over-indulge your kids. When my children point out which families have the latest and greatest gizmos, I tell them that all families have different rules about buying things and to focus on what they have, not on what they don’t have. Spoiling our children is probably the easiest thing we as parents can do. Learning to keep them grounded is a much harder task. Oftentimes, parents tell me they spoil their kids because of how they themselves were raised. Whether it was growing up poor, having parents who were overly strict, or holding onto that nagging feeling of being unloved as a child, many adults over-compensate with their own kids. Taking a good look at how you were raised can provide you with some insight into why you are caught in the trap of spoiling your own children and will help you pull yourself out of this pattern. Set some limits on yourself and you will find it easier to stop giving in to your child’s every demand. Give yourself permission to set limits with your kids, and you will find that your spoiling days are over.